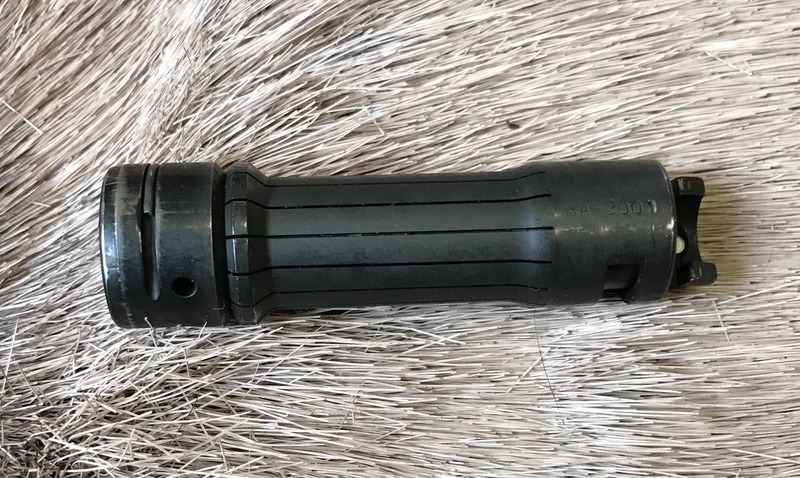 Blaser R93 Magnum Bolt Head, Treasure Chest | New England Custom Gun Service, Ltd.
New England Custom Gun Service, Ltd.
Blaser R93 slightly used Magnum Bolt Head. Shipping not included. New England Custom Gun Service, Ltd. specializes in top quality gunmaking, gunsmithing and firearm restoration services to the sporting arms community, as well as high quality long arms, optics and gun components. Our shotgun line includes AyA and Blaser F16 shotguns, as well as drillings and combination guns from Germany by such makers as Merkel, and Krieghoff. Big bore guns, such as double rifles from Krieghoff, are available as well as bolt action rifles from these and other makers, including Sauer, Blaser, Dakota, and Mauser M12 & M18. Although not extensive, our used guns list is definitely worth checking if you are in seach of the occasional gem. We also offer our extensive gun components and gunsmithing tools list features a large assortment of scope mounts by EAW & Recknagel, quality gun sights and gun accessories, including express sights by Recknagel, as well as our newly developed receiver sights, the NECG Peep Sight for Ruger rifles, Weaver Bases, Grooved 22 and now the CZ Peep 527 & CZ 550. You'll find a lot of knowledge at NECG. Please browse through all we have to offer. Then let us know how we can be of service! NECG now imports RWS Ammunition from Germany in hard to find metric ammunition as well as offering lead free bullet options in American calibers. NECG offers Ghost Ring Peep sights for the CZ 527 and CZ 550 and a RUGER Ghost Ring peep sight for Ruger firearms with integral scope bases. NECG is also a place to book your next African plains game hunt to the Eastern Cape of South Africa. NECG also offers ERATAC and Recknagel Picatinny Rails, Bore-Blitz pull through bore cleaners and now GPO-USA or German Precision Optics along with Leica, MEOPTA, Swarovski and Zeiss. © Copyright 2006 to 2019 - All rights reserved. Refunds: A refund for the purchase price of the item, purchased directly from NECG, is possible by returning the unused item directly to us.